Home » Home Remedies » Food & Diet » Is Whey Gluten Free? Is Whey Gluten Free? This is the most common question asked by the people with Gluten intolerance or sensitivity, especially when they are going to eat any Whey product. This article will systematically focus on some issues that would help you to understand and check the factor, whether the Whey product waiting in your kitchen or dining table is Gluten-free or not. Naturally, the milk contains two major types of proteins; those are Casein and Whey. The Whey protein is found as a by-product while extracting cheese from the milk. During this process, the Whey protein is separated from the Casein protein in milk. The Whey protein offers a total protein; as it is a great natural source of all the 9 essential types of Amino acids. However, the Whey protein contains a low amount of lactose contents. Moreover, the Whey protein bears a natural blend of essential proteins, like Alpha-lactalbumin, Bovine serum albumin, Immunoglobins, and Beta-lactoglobulin. The composition of Whey protein doesn’t include any trace of Gluten. 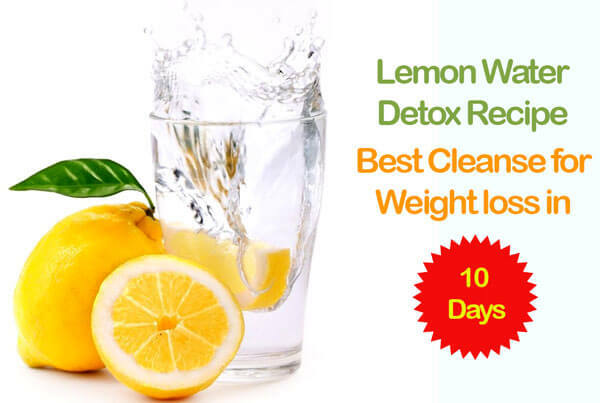 In many cases, people complain that they are spending a considerable amount of time in the gym regularly and taking healthy diets; but they are not getting expected results. If you experience such a problem, then you can try the Whey protein-intake. The Whey protein offers a wide range of health benefits. However, sometimes the doubt like ‘Is Whey Gluten Free?‘ prevents people from taking the Whey products. Therefore, at first, you should be aware of the facts like, what the Whey products can do for your body? Read the following section to get your answer. The Whey protein helps to lose the body fat. In this regard, it can be mentioned that the Nutrition & Metabolism published a 12-week-long study at Minnesota in the US on the efficiency of Whey protein 5,6. This study shows that the Whey protein-intake reduces the fat concentration in the body and preserves the muscles potentially. Therefore, you can try the Whey protein bars, when feeling hungry. The Whey protein significantly contributes to muscle development. If you want to build muscles with bigger size and want them to be sturdier enough, then add the Whey protein in your regular diet. A research conducted by the Baylor University at Waco in Texas found that the Whey protein-intake at 1 hour before as well as after doing physical workouts or exercise results in the better development of fat-free body-mass as well as strong muscle 7. An Australian research regarding the efficiency of Whey protein indicated that the Whey protein lowers the secretion of Ghrelin hormone that signalizes brain about feeling hungry and delay the process for about four hours 8. Therefore, you can take the Whey protein enriched foods in lieu of taking unhealthy snacks. Prevention is always better than cure. The Whey protein fights against the risk of occurring cancers, such as prostate cancer and colon cancer 9. Moreover, the Anticancer Research journal shows in a study that the WPC and the glutathione modulation are applied in the cancer treatment 10. Therefore, cancer patients can eat the Whey protein enriched food by taking approval from their medical professionals. In the Netherlands, a research attempt was taken with an aim to find out effective ways to get rid of stress 11. This research shows that Whey protein-intake could effectively reduce the stress symptoms. Moreover, the participants experienced better moods after taking Whey Protein. The outcome of this research indicates that the consumption of the Whey protein changes the secretion level of serotonin in the brain, which is responsible for creating stress in a human. In a research conducted by the University of Alberta found that the arduous aerobic activities reduced the glutathione levels in the body that put risks upon immune systems, nervous systems and the gastrointestinal system 12. This research finally indicates that the whey protein supplements can significantly reduce the decrease of Glutathione levels after cardio sessions. Therefore, you can take the Whey protein to evade the risk of lowering the Glutathione levels. The British Journal of Nutrition published a study, which found that the consumption of the Whey protein can effectively reduce the overall level of Cholesterol as well as the LDL Cholesterol among the participants 13,14. Therefore, if you are suffering from high blood cholesterol, then include the Whey protein in your diet. Whey protein could improve immune response in children with asthma. The International Journal of Food Science and Nutrition published a research 15,16, which indicated that the children bearing Asthma had experienced better cytokine response after taking the whey protein supplements regularly for a month. The International Dairy Journal published a research, which shows that the Whey protein supplemented beverages significantly contributed in reducing the blood pressure in the patients with high blood pressure or hypertension 17. Moreover, the Whey protein-intake can reduce the risk of stroke and heart disease. Before giving the answer to your query whether the Whey enriched foods are Gluten Free, let me clarify that “what is Gluten?” Gluten is one kind of protein composite found in the grains, including wheat, rye, triticale, barley, etc. The Gluten serves as a natural glue that maintains the shape of food grain-cells and holds the grains together. Gluten is naturally present in diverse categories of foods, in different quantities. What are the main sources of gluten? If you want to go gluten-free, then you have to know the common sources of Gluten. The three main sources of Gluten protein are Wheat, Barley, and Rye. To find out the detail sources of Gluten, you have to know the foods that contain high-concentration of these grains. 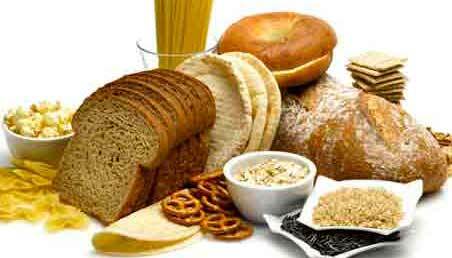 The main sources of Wheat are cereals, bread, roux, baked goods, salad dressings, soups, sauces, pasta, etc. Barley is widely found in the foods including soups, malt, beer, food coloring, malt vinegar, etc. The rich sources of Rye include rye beer, rye bread, like pumpernickel, cereals, etc. Triticale is a new kind of grain that bears similar quality of grains like wheat and rye. It is potentially available in the cereals, bread, pasta, etc. Gluten is certainly essential for a healthy body. However, the doctors and nutritionist suggest Gluten-free foods to the individuals who have a history of celiac disease. Moreover, some people show Gluten intolerance and therefore they have to choose a gluten-free diet. Let us know these two main reasons for taking Gluten-free food in details. In our digestive tract, there are small finger-like tissues called ‘vili’ that help in digesting food. The Celiac disease is responsible for damaging the vili; as intestinal lining; as the Gluten containing food particles create chronic inflammation in the intestinal lining of the digestive tract. If an individual with Celiac disease eats a small quantity of Glutinous food, then s/he often experiences symptoms like bloating, skin rash, cramping, etc. Celiac disease might also lead towards further complications like, lactose intolerance that results into anemia or iron deficiency. The National Institutes of Health shows that 1 in every 133 person bears Celiac disease and can’t eat glutinous food. Some people experience symptoms, like fatigue, headaches, diarrhea, bloating, etc. right after eating glutinous food. Though these people don’t have Celiac disease, they bear Gluten sensitivity, which is also termed as Gluten Intolerance. And Gluten intolerant people often enjoy a better life, if they follow a gluten-free diet regularly. Gluten intolerance is more common among the general people around the world compared to the ratio of people suffering from Celia disease. Possible 1 in every 10 people bears Gluten sensitivity worldwide. Therefore, if you have Gluten intolerance and your menu includes any Whey protein product, then you should check whether your chosen Whey product is totally gluten-free or not. Is whey gluten-free in pure & processed form? The whey protein is edible in both pure state as well as a processed state. Is whey protein gluten-free in it’s pure state? The pure Whey protein is harmless for the gluten intolerant individuals. The Whey is a high-quality protein, which is available mainly in the powder form. The whey protein powder naturally contains no gluten in it’s pure form. Therefore, you can add this safe protein in your gluten-free diet; even if you have Gluten sensitivity. Is whey protein gluten free after industrial processing? In all types of Whey protein powders, only one type of ingredient is always common that is ‘Whey protein.’ Except for this common ingredient, additives like flavorings vary widely from product-to-product and brand-to-brand. Therefore, any Whey powder that contains the ingredients like, wheat, rye, barley, etc. in any quantity or form can’t be considered as gluten-free. However, during the industrial processing cross-contamination might occur, if same machines are used for packaging the Whey protein as well as the Gluten enriched wheat flour. Whey protein in its pure form is gluten-free. Adding to these, a range of food products available in the food industry apply the Peptide-bonded Glutamine to the Whey proteins during their production phase. Additionally, some process Whey proteins are derived from the Gluten enriched hydrolyzed wheat. Which type of whey protein is gluten-free? The Whey protein is available mainly in three types. Is every type of Whey Gluten free? Let’s read the following section. The WPC contains a lower amount of both fats as well as carbohydrate, especially lactose concentration. You can find the concentration level of protein in the WPC through the protein-percentage figure. The protein concentration in the Whey protein can be as low as 30% and as high as 90%. Therefore, it is essential to check the WPC while eating any food containing the Whey protein. However, the WPC contains no Gluten. When the Whey protein goes through the further process for removing the fats as well as lactose contents totally, then it falls in the category of the WPI. If you want to take the high-protein foods, then include the WPI type foods in your diet; as the WPI foods usually contain a minimum of 90% protein. But, the WPI is totally devoid of Gluten. The Whey protein is absorbed by our body through the Hydrolysis process. However, compared to the WPC and WPI, the WPH requires the body to go through the lower amount of digestion process; as the WPH is the “predigested” state of the whey protein. More to say, the WPH is widely used as the healthy protein supplements and the infant formulas due to it’s greater digestibility as well as lower allergen potentiality. And the WPH processing has no connection with Gluten. How to eat gluten-free whey protein? If you are gluten intolerant or have celiac disease, then it would safe to read the label before taking the Whey protein bar/supplements and check whether it is “gluten-free.” It is also important while eating any other Whey protein-enriched foods, to be sure that no other Gluten enriched ingredient has been applied in that food product. Furthermore, you need to check the label, whether it contains any red flag ingredient, like the “Glutamine” that has been derived from the glutinous wheat protein. Adding to these, if the Whey protein food includes ingredients like caramel color, malt sugar, edible starch, Maltodextrin, food starch, dextrin, etc., then avoid that food. If possible, then you can ask your doctor to check the ingredients of the food to be sure, whether it is totally safe for your Gluten sensitivity. The people with the Celiac disease should eat the Whey protein products that have applied the Whey protein ingredient in its pure and natural form; otherwise, it could potentially harm their intestinal tracts. The National Foundation for Celiac Awareness has suggested the individuals with the Celiac disease eat the gluten-free Whey proteins. If you have any doubt regarding the processing of the product, then not only consult with your doctor, but also make a call to the manufacturer of that product to be certain about the ingredient list and production process. A little awareness can save your precious health, priceless time as well as hard-earned money. Numerous companies/brands sell the Whey protein that has been derived from totally gluten-free type Whey products, while many other companies/brands produce and supply products derived from Gluten. As mentioned earlier, the Gluten-free Whey products can be processed by the same equipment/machine that somehow gets in contact with the Gluten during the production or packaging phase. As a result, the Gluten-free products can fall to the risk of cross-contamination. In such cases, the level of your Gluten intolerance/sensitivity might dictate whether you can endure the impact of a small quantity of Gluten. However, if you bear the Celiac disease, then try to avoid the Whey products produced in a factory or system that also produces Gluten products. On the whole, the answer to the big question “Is Whey Gluten Free?” would be, the Whey powder is certainly a gluten-free protein in it’s natural form. However, a Whey product might contain more or less Gluten, if it’s production formula includes Gluten or any cross-contamination occurs during it’s production level. To avoid the risk of eating glutinous food, you need to check the food-label, ask your doctor and product manufacturer and verify cross-contamination risks. Finally, you need to be a little bit more conscious. Live Gluten Free! http://celiac.org/live-gluten-free/glutenfreediet/what-is-gluten/. Accessed 31st March, 2015.
http://www.everydayhealth.com/digestive-health/who-really-should-be-on-a-gluten-free-diet.aspx. Accessed 31st March, 2015.
http://www.medicalnewstoday.com/articles/263371.php. Accessed 31st March, 2015.
http://www.mensfitness.com/nutrition/what-to-eat/6-reasons-you-should-be-using-whey-protein. 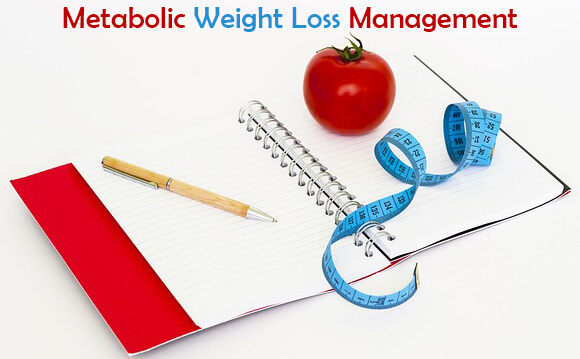 Accessed 31st March, 2015.
http://www.nutritionandmetabolism.com/content/5/1/8. Accessed 31st March, 2015. Joy L Frestedt, John L Zenk, Michael A Kuskowski, Loren S Ward, Eric D Bastian. “A whey-protein supplement increases fat loss and spares lean muscle in obese subjects: a randomized human clinical study”. Nutrition & Metabolism. Published online 2008 March 27. doi: 10.1186/1743-7075-5-8. Accessed 31st March, 2015.
http://www.ncbi.nlm.nih.gov/pubmed/16988909. Accessed 31st March, 2015.
http://www.ncbi.nlm.nih.gov/pubmed/17593904. Accessed 31st March, 2015.
http://www.ncbi.nlm.nih.gov/pubmed/11205219. Accessed 31st March, 2015. Bounous G. “Whey protein concentrate (WPC) and glutathione modulation in cancer treatment.” Anticancer Research. 2000 Nov-Dec;20(6C):4785-92. Accessed October 31st March 2015.
http://www.ncbi.nlm.nih.gov/pubmed?term=Am%20J%20Clin%20Nutr.%202000%20Jun%3B71(6)%3A1536-44. Accessed 31st March, 2015.
http://informahealthcare.com/ Accessed 2nd April, 2015. Pal S, Ellis V, Dhaliwal S. “Effects of whey protein isolate on body composition, lipids, insulin and glucose in overweight and obese individuals.“ The British Journal of Nutrition. Sep;104(5):716-23. doi: 10.1017/S0007114510000991. Epub 2010 Apr 9. Accessed 2nd April, 2015.
http://www.ncbi.nlm.nih.gov/pubmed/17127471?dopt=AbstractPlus. Accessed 2nd April, 2015. Lothian JB, Grey V, Lands LC. “Effect of whey protein to modulate immune response in children with atopic asthma.” International Journal of Food Sciences and Nutrition. 2006 May-Jun;57(3-4):204-11. Accessed 2nd April, 2015.
http://www.medicalnewstoday.com/releases/210886.php. Accessed 2nd April, 2015. 4 What are the main sources of gluten? 5 Benefits of gluten-free food? 6 Is whey gluten-free in pure & processed form? 6.1 Is whey protein gluten-free in it’s pure state? 6.2 Is whey protein gluten free after industrial processing? 7 Which type of whey protein is gluten-free? 9 How to eat gluten-free whey protein?